Note: If the PuTTY Connection Manager opens the original PuTTY in a separate window, instead of opening as a TAB, please go to Tools -> Options -> Select the check-box “Enable additional timing for PuTTY capture (ms)” -> set the value to 300 ms. This will open the PuTTY window inside the TAB as shown below. Cygwin users will absolutely love PuTTYcyg. This lets you use PuTTY as a local cygwin terminal. If you use cygwin on your windows, I’m sure you’ll hate the default MS-DOS looking cygwin window. Using PuTTYcyg, you can run cygwin inside PuTTY. I love this add-on and use it for my cygwin on Windows. On PuTTYcyg, click on cygterm radio button in the Connection type. Enter – (hyphen) in the “Command (use – for login shell“, to connect to the cygwin on the windows laptop using PuTTY as shown below. Using PuTTYtray, you can minimize the PuTTY window to the system tray on windows. 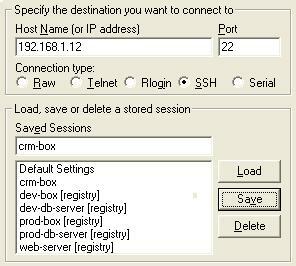 By default, original PuTTY stores the session information in the registry. This is painful, when you want to transfer PuTTY sessions from one laptop to another. In PuTTYtray, there is an additional radio button “Sessions from file” as shown below, that will let you store session information in a file. PuttyTabs provides a floating bar, that will display the open PuTTY sessions in TABs. Clicking on one of the tabs will bring the respective PuTTY session to the foreground. 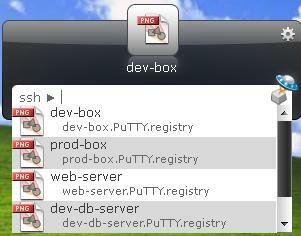 While starting PuTTYTabs for the first time, you should specify location of the original PuTTY. It reads the windows registry to get all the available PuTTY sessions. This also requires .NET 2.0 to be installed on the windows system. Following screen-shot displays three putty sessions arranged in tab. 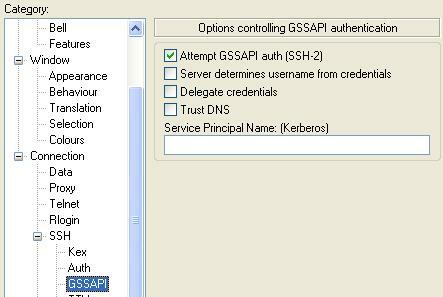 Quest Software modified the PuTTY to add Active Directory (GSSAPI Kerberos) single sign-on feature. Quest PuTTY uses Microsoft’s Security Service Provider Interface (SSPI), which is Microsoft’s version of the GSSAPI, with which it is wire compatible. This version of PuTTY adds a new menu-item called GSSAPI, under Connection -> SSH, as shown below. 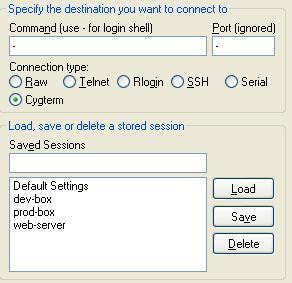 This modified PuTTY stores the PuTTY sessions in folder instead of storing it in the registry. 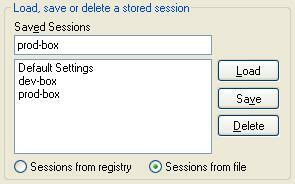 If you already have sessions stored in the registry, it will display those also. The sessions stored in registry will be marked as [registry] as shown below. When you create a session using this PuTTY, this creates a sub-folder called session in the same folder where putty.exe is located, to store all the sessions in the file. PocketPuTTY runs on Windows Mobile 2003/5.0 operating system. After I got my blackberry, I have dumped my Dell Axim that was running on Windows Mobile. So, I have not tried PocketPuTTY myself. If you’ve used PocketPuTTY or other mobile version of PuTTY, please leave your feedback. portaPuTTY is a modified version of the PuTTY that stores the session information in a file by default, instead of storing it in the windows registry. The session files are stored under .putty/sessions folder. The .putty folder is created under the same directory where the putty.exe is located. PuTTY Portable is part of PortableApps suite. Use this to launch PuTTY from the USB drive and carry the sessions along with you. If you are using Launchy, the open source keystroke launcher for windows, you can use Putty Launchy Plugin, to launch putty sessions from LaunPluginchy very easily. 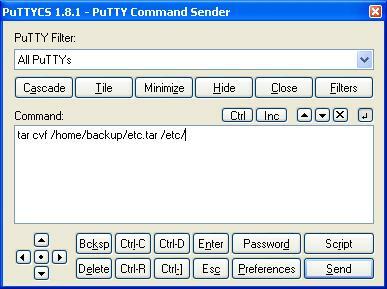 i.e you can type “ssh” or “putty” followed by tab or space to list all of your PuTTY sessions. Once you select a particular session, Launchy will automatically launch that particular PuTTY session. Fig – PuTTY Launchy Plugin. Type ssh followed by tab. 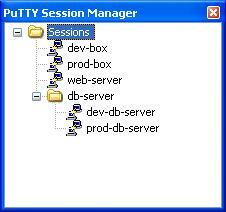 PuTTY Session Manager will let you organize the PuTTPluginY sessions into folders and assign hotkeys. This requires Microsoft .NET 2.0. 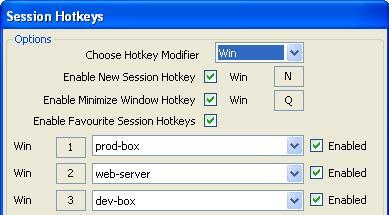 Right click on the PSM icon in the system track and select “Session Hotkeys” to assign hot-keys for PuTTY session as shown below. To create a folder, right click on a particular PuTTY session -> Session Management -> New Folder. To move a existing session to a folder, just drag the session and drop to the corresponding folder. PuTTYCS is very helpful little tool that can boost your productivity by eliminating repetitive tasks performed on different servers. 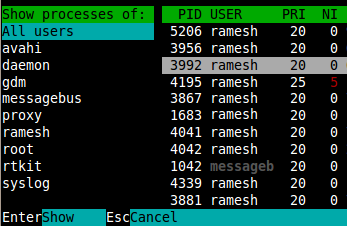 Using PuTTYCS, you can send a unix command to multiple PuTTY windows at the same time. You can use this to backup files, view log files, start and stop processes, copying file etc., on multiple servers, just by executing the command once, as shown below. Mergecap is a packet dump combining tool, which will combine multiple dumps into a single dump file. Based on timestamp, the packets are written into the output file in an orderly manner. By default the output file is written in the libpcap format. However using mergecap options, we can generate output in various different format including those that are supported by wireshark tool. mergecap is available in the wireshark package. Make sure wireshark/ethereal package is installed to use the mergecap. Combines input_dump1 and input_dump2 capture files and writes into output_dump file. In this example, input_dump2 contains the packets which are captured after input_dump1. The output_dump will contain intput_dump2 packets in the beginning followed by intput_dump1 packets. Combine two network dump files and print the output to the standard output instead of writing to a file. Use option -T, to get the output file in the desired encapsulation format as shown below. In this example, the output_dump contains the packets of maximum 100 bytes length. Tshark is a powerful tool to capture network packets, which can be used to analyze the network traffic. It comes with wireshark network analyzer distribution. The following example will capture the network packets continuously for 60 seconds. After 60 seconds of capture, it would stop automatically. capture_out contains the packets, which are flown in the network during the last 60 seconds. In the following example packets will be printed on the screen and simultaneously it will be written into the output file. To see how many packets are flowing in the network for a specific interval use the following command. This example captures only the ssh packets. The following example will capture packets for specific duration (5 seconds), switch over to the next file when capture file size reaches certain size (1000KB). Use option -c, to capture the packets upto certain packet count. The following example creates the ethcap1 file only with 10 packets. Use option -r to read network packets from as compressed file. Use option -r, to displays only specific packet types. The following example creates the file capture_dump only with the rtp packets in the network analyzer. Use the filter below to capture the tcp packets which are flowing in the port 1720. The following example will capture packets that are coming either to the port 1720 or 1721. By default, tshark will use eth0 device to do the packet capture. You can also specify a specific ethernet adapter using option -i as shown below. This article is part of our on-going performance monitoring series of articles. In this article, let us focus on how to monitor network traffic and log them for later analysis using vnstat utility. vnstat is a command line utility that displays and logs network traffic of the interfaces on your systems. This depends on the network statistics provided by the kernel. So, vnstat doesn’t add any additional load to your system for monitoring and logging the network traffic. 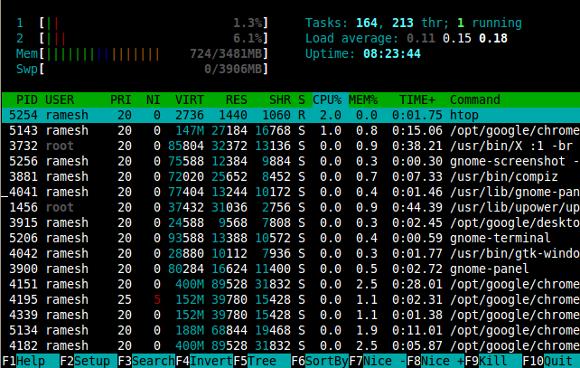 Install vnStat on your system from the repository that is specific to your Linux distributions. For example, on Ubuntu use apt-get to install it as shown below. If you prefer to install it from source, download vnStat source from here , or use the wget as shown below to download and install it. Please note that you can also use Mergecap and Tshark to analyze network traffic. Please note that you don’t need to do “./configure” that you typically do for other source based installations. Since vnstat depends on the information provided by kernel, execute the following command to verify whether kernel is providing all the information that vnStat is expecting. vnStat doesn’t monitor any interfaces unless you specifically request it to do so. To start monitoring eth0, do the following. This needs to be executed only once. As you see below, this creates a database file eth0 under /var/lib/vnstat directory that will contain all the network traffic log messages for this specific interface. 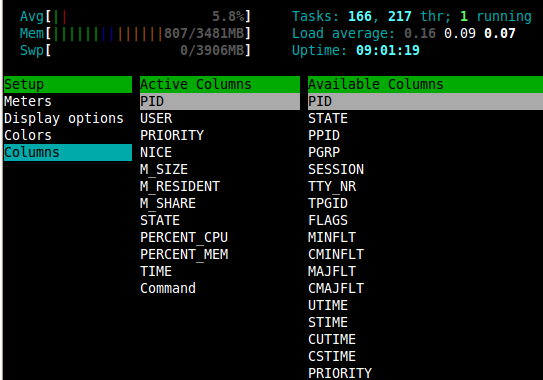 To view all the available interfaces on your system that vnStat can monitor, do the following. Start the vnstatd (vnstat daemon), which will monitor and log these information in the background. Note: You can add “vnstatd -d” to your /etc/rc.local file, so that it starts automatically anytime you reboot your system. The network statistic data (bytes transmitted, bytes received) for the last two months, and last two days. Note: If you just installed the vnStat, it will give the following message “eth0: Not enough data available yet.”. Wait for some time and try the command again. Use “vnstat -h” (or) “vnstat –hours” for network statistic data breakdown by hour. This also displays a text based graph. Use “vnstat -d” (or) “vnstat –days” for network statistic data breakdown by day. Use “vnstat -m” (or) “vnstat –months” for network statistic data breakdown by month. Similar to days and months, use “vnstat -m” (or) “vnstat –months” for network statistic data breakdown by week. If you like to export the network monitoring data to an excel or other database, you can dump the data in a text format delimited with semi-colon, which you can import to Excel or other db. The 1st few lines of the –dumpdb output contains some header information. After the header lines, it has 30 lines that starts with “d;” (d;0;1318316406;1;0;386;698;1). This lines has the following information separated by semi-colon. 0 – number of the day. 0 indicates today. You can also use “vnstat –oneline”, which displays the traffic summary in a single line where the values are delimited with semi-colon. Use “vnstat -l” or “vnstat –live” to display the live network statistic information. After you press Ctrl-C to stop it, vnstat will display a summary for the time period the live monitor was running. Use “vnstat -s” or “vnstat –short” which will display a short summary of the network statistics. This includes statistics for today, yesterday and for the current month. You can also use “vnstat –style 0″, which will give a narrow column output, which is easier to read than the default wider column output. Use “vnstat -t” or “vnstat –top10″ to display all time top 10 traffic days. Press F2 (or S) for setup menu -> Select “Meters” under setup -> Use right arrow to go to “Available Meters” column -> Use down arrow to select “CPU average” -> Press “F5″, which will add “CPU average” to the list under the “Left columns”. 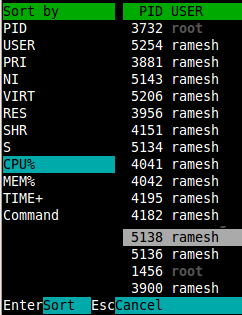 Now, use left arrow to go to “Left columns” -> select “All CPUs” -> Press F9 to remove it from the “Left columns” -> Use down arrow, select “CPU” -> Press “F7″ to move it to the top -> Press to come out of the setup menu. If you want to do “kill -9″ on the selected process, select the “SIGKILL” from this menu, and press enter. Select the process that needs to be reniced from the list, and press F7 which will reduce thenice value of the process, press F8 which will increase the nice value of the process by one. If you press F8 three times, it sets the nice value of the process to 3.